We’d love to make your life easier. Share some basic information with us below, and we’ll follow up with you, typically within 24 hours during the workweek. Are you making any of these accounting mistakes? 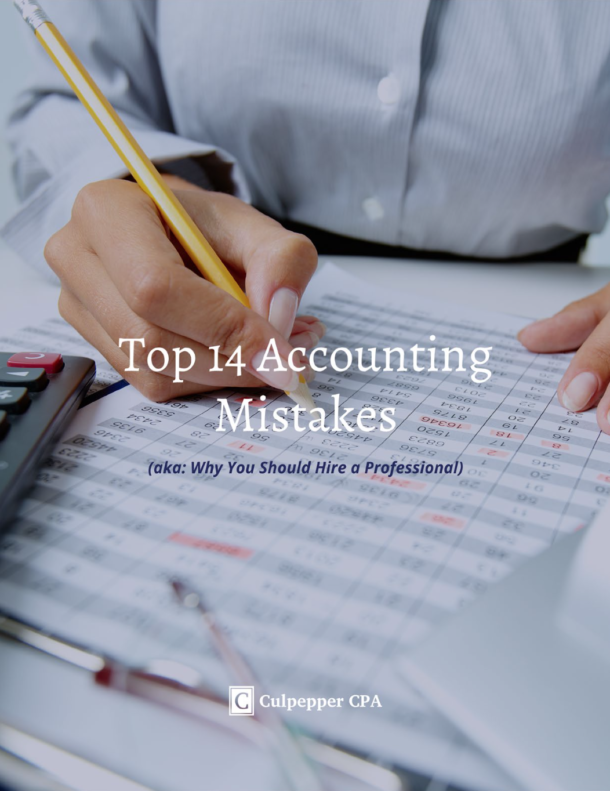 You definitely want to avoid the 14 accounting mistakes that trip up many small business owners. Enter your email address below, and we’ll send you the short guide. Thank you for subscribing! Check your email for a link to the guide.